If you’re an up-and-coming artist, getting a country superstar to collaborate with you is no small feat, so it’s especially impressive that Jordan Rager‘s debut single, “Southern Boy,” features none other than Jason Aldean. But as the rising star tells The Boot, Aldean is more than a one-time collaborator; rather, the two have built up a friendship in the couple of years they’ve known each other. “Whenever we’d see each other, we would catch up: He’d ask me how I was doing and how’s my music and all that,” Rager tells The Boot. “Then I signed at Broken Bow, and he started to become very interested in supporting me and the music that I was cutting. We kind of started to talk about a duet with me and Jason …” To read the full story, click HERE. 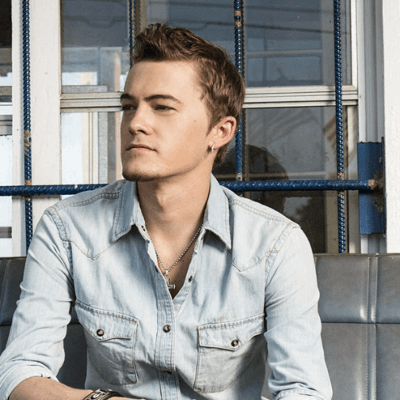 Jordan Rager has kicked off his Country music career with a bang. The Broken Bow recording artist watched proudly as his debut single, “Southern Boy,” exploded onto the marketplace with 53 first-week adds from radio stations nationwide. That would be a staggering number for an established artist in the format – let alone a newcomer on his very first single. “They really jumped on board really quick,” he tells Sounds Like Nashville about his first week on the airwaves. :I can’t thank them enough. I’ve met a lot of great friends out on the radio tour. I’m still kind of pinching myself,” he says, adding that just having a record out is a dream come true. “It’s surreal. It’s not one of those things that I ever thought I was going to get to do. I never thought I would be signed with a label like BBR, or a label at all, to be honest with you. It’s all been really cool.” To read the full story, click HERE.